← I am self-employed not unemployed! Last week my younger sister came to visit so we decided to go for a family outing to commemorate the occasion. 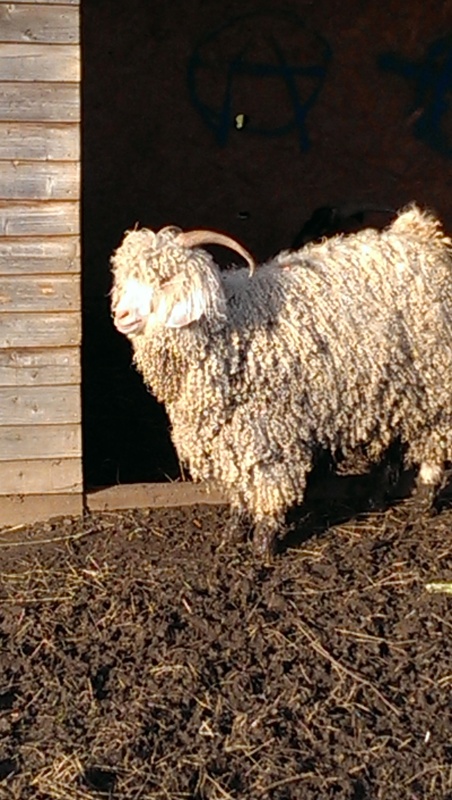 Without hesitation my husband suggested going to Stonebridge City Farm. His workplace annually organise a day out of the office where the staff volunteer at a chosen local community project, and they had gone there a couple of years ago to build compost bins and fix rabbit hutches. He had mentioned wanting to go back a few times now, but we hadn’t got around to going. Nottingham is lucky as it has some really good farm visitor attractions within a short drive of the city. Stonebridge, however, is within walking distance of the city centre. Tucked away down a side street near Sneinton Market, Stonebridge City Farm really is a city farm. I was amazed by how residential the area it is located in is. On arriving we entered through the building where the café and offices are located as we had the urgent priority of finding a baby change unit. We found one located by the toilets, which are next to the main office. The facilities are basic, but clean. There are also hand washing points around the site. This is a good time to point out that the farm is funded through donations, any grants they can secure, and revenue from the shop, café and events that they hold. According to their website it costs around £246,000 a year to keep the farm open, £150,000 of which they manage to raise through grants. Despite this entrance to the farm is completely free. The café is also basic, but light and roomy. We had not long had lunch so didn’t purchase anything, but from what I saw other people eating the food looked nice. The menu was surprisingly cheap too. Venturing outside we passed the training room where they hold courses, including First Aid and Food Hygiene, available to anyone wanting to improve their C.V. They also offer children’s parties which I’m presuming are held in this room. My sister had cautiously worn her wellies, we were of course visiting a farm, but thankfully there are wooden walkways to follow which are firm and secure. In fact the farm prides it’s self on being accessible to all, including those with wheelchairs. The walkways lead between a number of small paddocks where the birds and larger animals are kept. They included chickens, cows, goats, and ponies. A full list of what they have can be found on the website. We managed to miss the pigs, but it was a cold January day so they may have been sheltering somewhere. The majority of the animals seemed friendly and came over to be stroked and fed (you can buy bags of suitable feed in the shop). I think we were more excited by this than my 9 month old daughter, but once she realises what animals are it will be a great experience for her. There is also a barn where rabbits, guinea pigs and a terrapin are kept. You can pay 50p to handle the animals in here. It was also in the barn that we got to meet some of the wonderful volunteers that work at the farm. Much of the work done at the farm is by volunteers. This includes supported placements for adults with disabilities. On the website for the farm it says that through working at the farm it is hoped that the volunteers will ‘build up confidence in their abilities and increase their self-esteem.’ I can certainly say this seemed true for the volunteers we met in the barn. They were doing daily checks on all of the animals when we entered, and they showed us what they were doing and introduced us to each animal they picked up. It was lovely. In additional to the animals there is also a garden you can walk around. Here they grow all sorts of fruit and vegetables. The wooden walkway extends around the garden, so again it is accessible to all. Next to the garden there is a play area, with a climbing frame and see-saw. I briefly mentioned the shop earlier. Not only can you buy feed for the animals from the shop, you can also buy much of the produce of the farm, including honey from the farm’s bees. Admittedly Stonebridge City Farm does not compare in size, or variety of animals, to the farms found slightly further afield, but I do not feel that is necessarily a bad thing. The size is ideal for smaller children, enough variety to feel like they have done a lot, but without being too overwhelming or tiring to get around. The staff and volunteers really set the place apart though. I don’t think I have ever been anywhere else where the staff were so engaged with what they were doing and so excited to tell you about it. I’d recommend this place for everyone to go and visit; whether as a family outing like ours, to one of the fine dining nights that they hold in the café, or just to visit the farm shop. Regardless of why you go though, please make sure you put some money in one of the donation boxes found around the farm. Stonebridge City Farm is too good to lose. 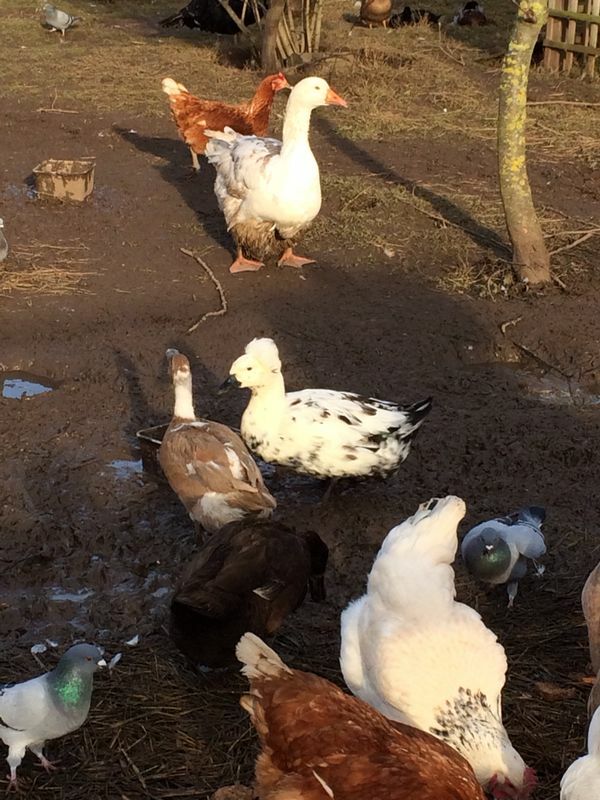 For more information on Stonebridge City Farm visit their website by clicking here. As a volunteer at Stonebridge farm it really warms my heart to see such good feedback and praise for the farm and all the other workers. I hope you visit again and continue to bring your little one. We’re already planning our next visit for when my nieces come. Am sure we’ll be regular visitors now. Keep up the fantastic work! Wow! Finally I got a web site from where I know how to actually get valuable information regarding my study and knowledge.